To be a good candidate for LASIK at Sullivan Ostoich eye center, you should be at least 18 years old, have healthy eyes, and have adequate corneal thickness, since LASIK corrects your vision by removing tissue from your cornea to reshape your eye. Important considerations when deciding whether to have LASIK are your expectations and your ability to accept a less-than-perfect outcome. LASIK can reduce your dependence on glasses and almost always gives you the ability to function well without the need for glasses or contact lenses. But there are no guarantees, and LASIK doesn't always create perfect vision. In some cases, your vision after LASIK may be permanently less clear than it was with glasses before the procedure. You have to ask yourself if you're willing to accept the risk of such an outcome before you decide to have LASIK surgery. Wavefront LASIK (also called wavefront-assisted, wavefront-guided or custom LASIK) means the laser treatment (or “ablation”) is determined by a computerized mapping of the power of your eye called wavefront analysis. Wavefront-guided procedures are more precise than ablations determined by using only an eyeglasses prescription, and they can correct subtle optical imperfections of the eye called “higher-order aberrations” that regular ablations can't treat. Several studies show wavefront-guided ablations provide sharper vision than conventional, non-wavefront LASIK and may reduce the risk of nighttime glare and halos. From this point forward (and sometimes for this “day one” visit as well), your post-operative care may be performed by an eye doctor other than your LASIK surgeon. When your post-operative care is provided by a doctor other than your surgeon or another doctor at the surgery center, it's called co-management. We are happy to provide post-operative care for you at our office through a co-management agreement with your surgeon. Call our office for details. Though most patients see quite clearly in a matter of days after LASIK, it can take several months before your eyes are completely stable. Until then, improvements in your vision can still occur. But if several months pass and your vision is still blurred, see your LASIK surgeon. 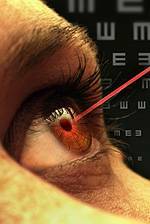 Usually, a second LASIK surgery (called an enhancement) can sharpen your eyesight further. When outdoors, it's important to protect your eyes from the sun's harmful rays with sunglasses that provide 100% UV protection. If you play sports when wearing sunglasses, make sure the lenses have polycarbonate lenses for extra protection. And anytime you're working with power tools or doing anything else when an eye injury is possible, you should wear safety glasses with polycarbonate lenses. If you're over 40 (or soon will be), it's likely you'll need reading glasses after LASIK. 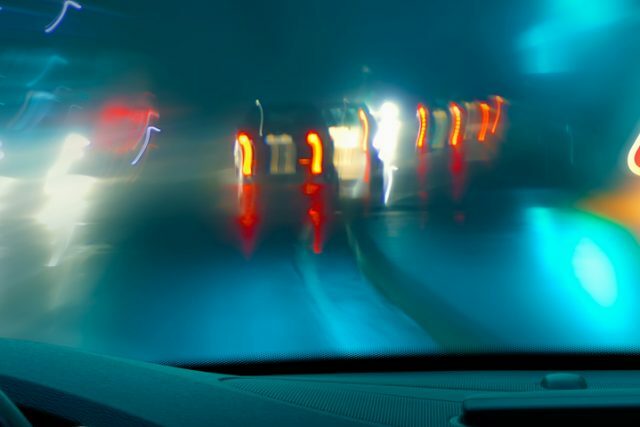 Also, many LASIK patients can benefit from a pair of prescription eyeglasses for night driving. Though these lenses may have only a mild prescription, they often can make your vision sharper for added safety and comfort. And don't forget to continue to have routine eye exams after LASIK. Even if your vision is perfect, you still need to have your eyes checked for glaucoma and other potential problems on a regular basis. Routine exams also help you make sure your vision stays stable after LASIK.